JB Cross Stitch sells a wide range of unique cross stitch charts and patterns, all of which are available for instant download in PDF format. All of their cross stitch charts and patterns are created by Jenny Barton; who is a well published freelance cross stitch designer. All of our cross stitch patterns are easy to follow. 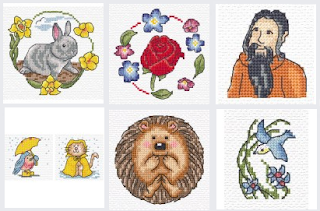 New cross stitch patterns are being added all of the time so their library of cross stitch charts is constantly growing.